We at Take a Hike Photography try to combine our two greatest passions of hiking and photography every chance we get. 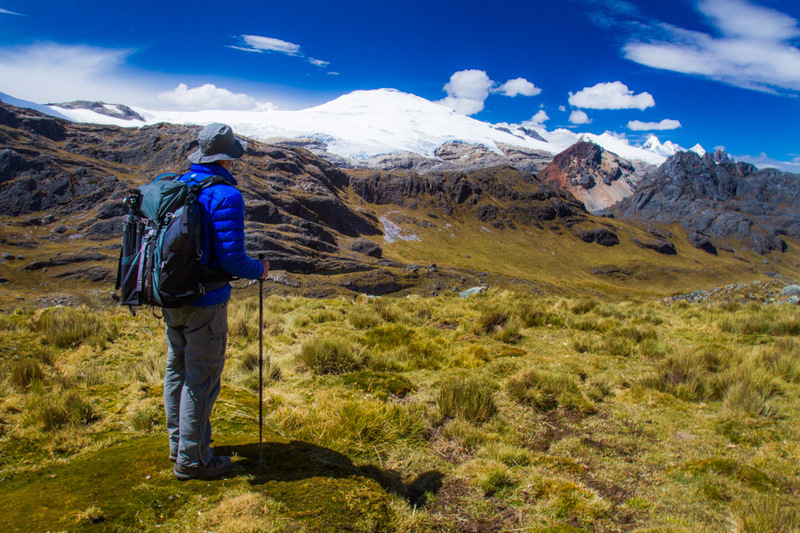 Over the years, however, we’ve discovered that these two hobbies don’t always mix well in the field, especially if you are crazy serious enough about your photography to carry a DSLR camera with you on the trail like we are. 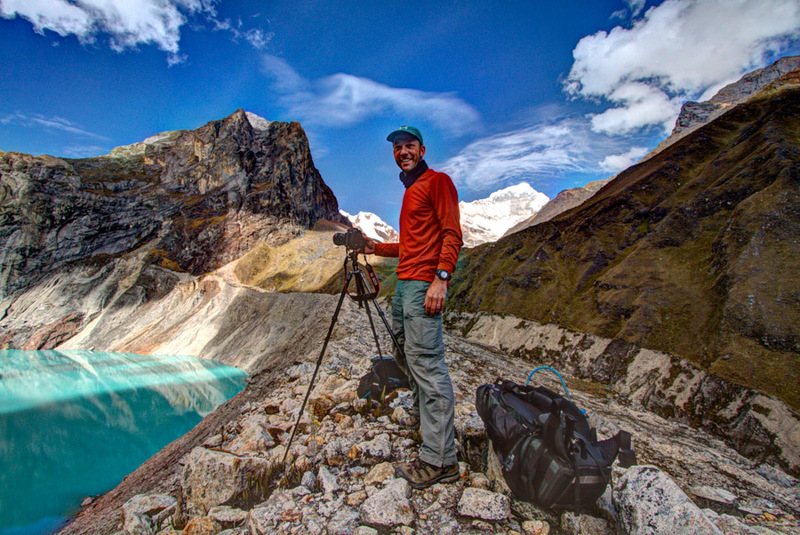 We never set out on a hike without our Canon 7D bodies, a selection of lenses, various filters and a tripod in our kit. Believe you me, the weight of the camera gear alone adds up in a hurry, and lugging it around mile after mile takes some serious dedication. In addition, we never leave home without being prepared for the elements, bringing rain gear, additional layers for warmth, snacks and appropriate hydration for the day. 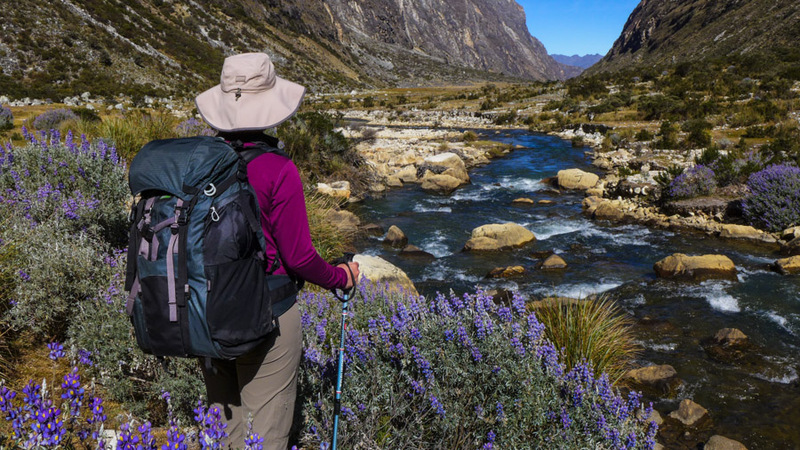 When you’ve got this much stuff to carry, finding the perfect bag is critical for your happiness on the trail. This has been a huge problem…until now. 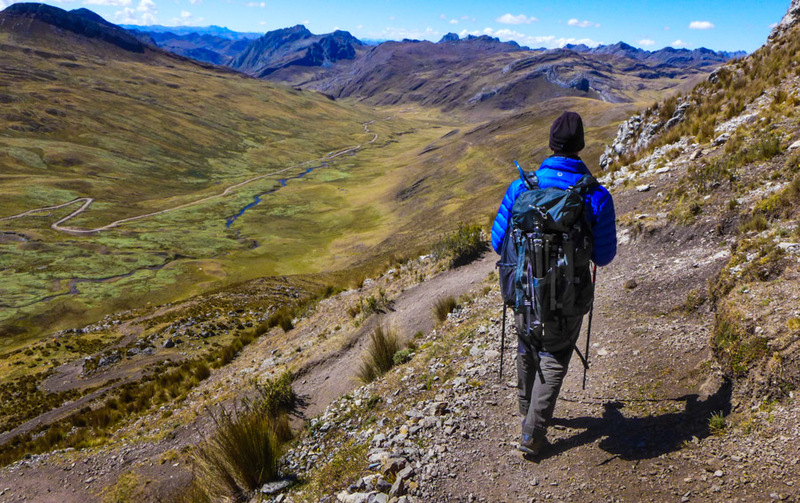 For years, we’ve tried different daypacks and never been completely satisfied. 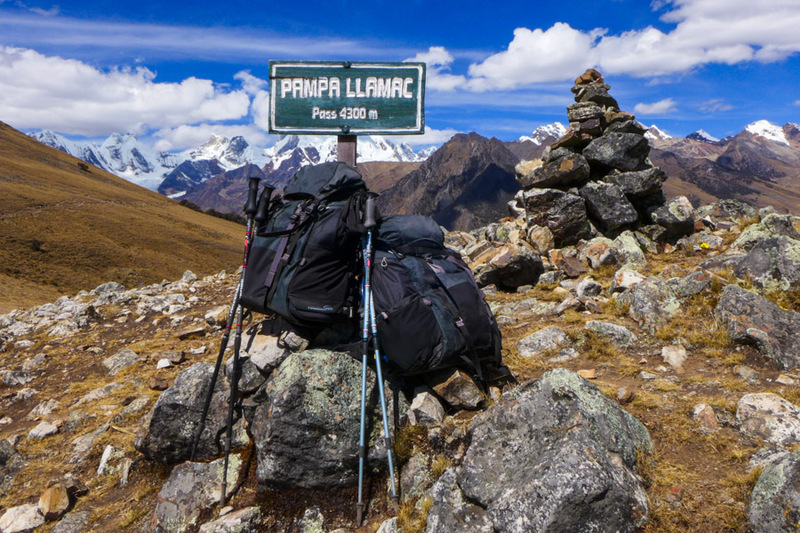 There are two main issues that make most daypacks on the market inconvenient for photography and hiking. The first is the camera. We’ve either had to wear this 10-pound beast around our necks while we hike, which becomes oh-so-tiring and cumbersome. Or we’ve had to pack our cameras away in our bags until we we were ready to use them—totally inconvenient when the perfect shot presents itself. The second issue is accessibility. When we wanted our camera, if it was packed in the bag, we would have to stop, take our pack off, and unearth it from beneath all of the other items in the pack. What a pain! Often times, this seemed like more of a hassle than it was worth, and we’d take a pass. We shudder to think of how many great photographic opportunities we let go by the wayside because they seemed like too much work. 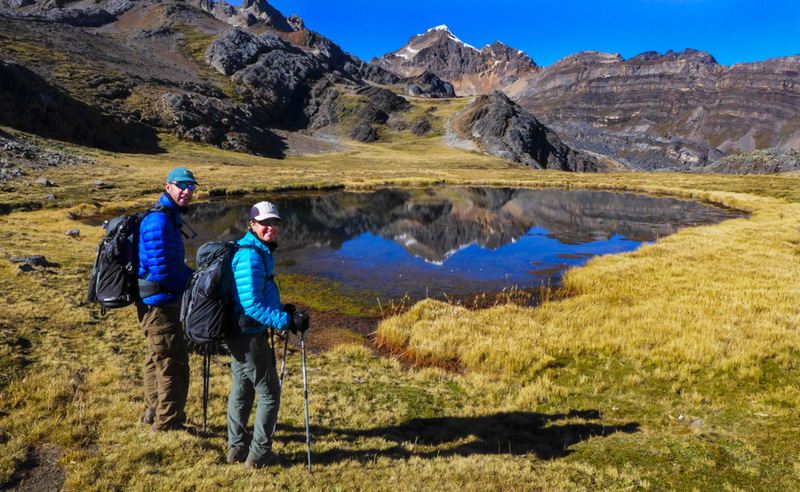 This past summer, we were headed to Peru to trek for a month in the High Andes and hoped to spend our days capturing the stunning alpine landscapes. We were determined to find a solution to our bag dilemma, so we could have a productive month of hiking and photography. After searching the Internet to see what was available on the market, we were thrilled to discover a new camera bag company, MindShift Gear, and their rotation line of backpacks. MindShift’s daypacks seemed to offer an innovative solution to our hiking/photography problem. And, after a month of using them on the trail, we can honestly say we couldn’t be happier with these fantastic bags. So, what’s the difference? The MindShift bag is separated into two compartments. 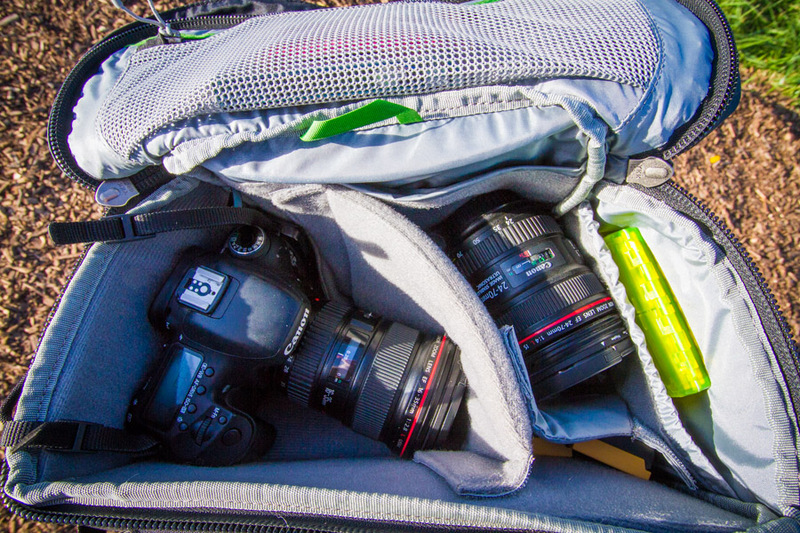 Our heavier camera gear is stored in a slideable waistpack at the bottom of the bag. 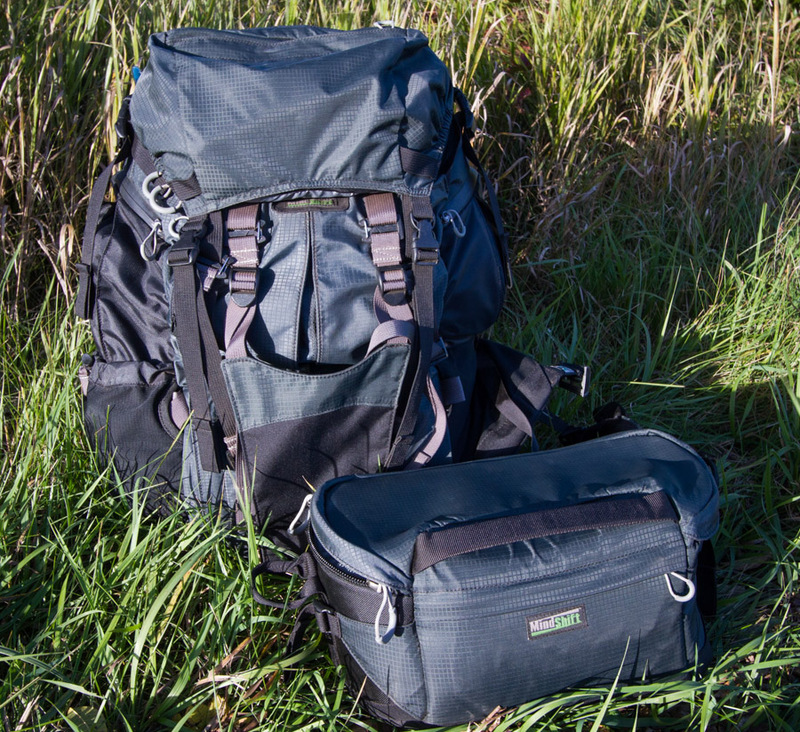 This bottom compartment comes with removable dividers that allow us to customize the pack to fit whatever camera and lenses we are taking out on the trail. 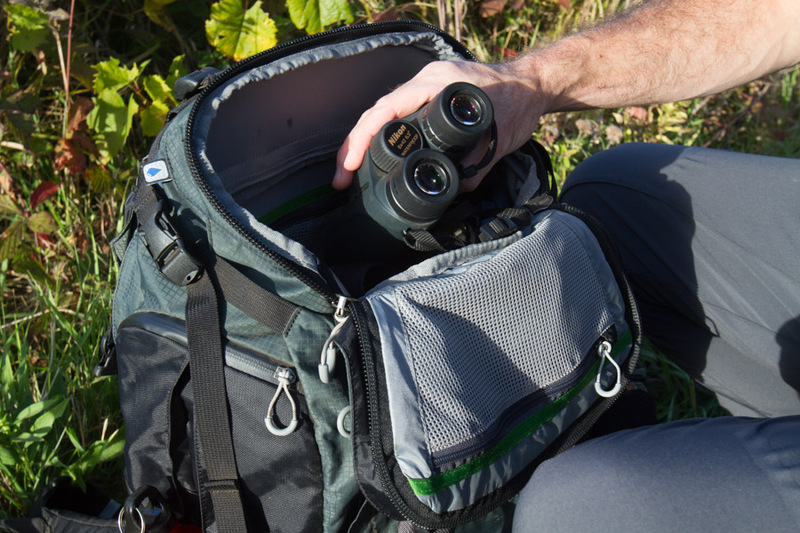 A separate top compartment can be used for our other gear, including extra layers, rain gear, binoculars, a pack lunch—you name it. The upper compartment was roomy and spacious, and we never had a problem fitting in all the essentials for hiking in the unpredictable weather of Peru. An additional large side pocket is designed to carry a hydration bladder. We liked the peace of mind knowing that the bladder was kept separate from our camera gear and our dry layers in the unfortunate case of a leak. 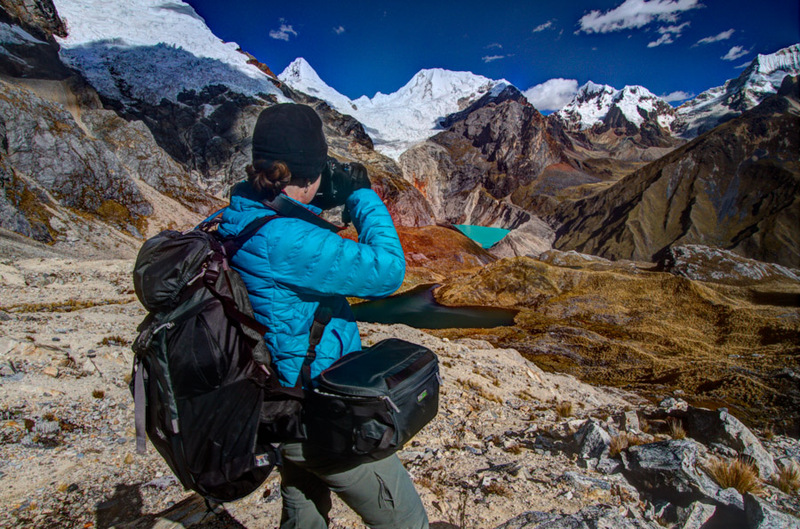 The primary benefit of the MindShift system is that we could access our camera gear without having to take our packs off. Whenever we wanted to take a photo, we could simply loosen the waist belt, unclip the side door and slide the waistpack 180 degrees to our front side. With a quick zip, our SLR, lenses and filters were immediately available for shooting. After we had captured the shot we could stow them away and get back to hiking just as quickly. This was a true lifesaver for us when we were trying to cover lots of ground in a day but still didn’t want to miss any shots. We could document the experience without sacrificing too much time, and we were able to conserve energy because we didn’t have to constantly take the bag off and repack the gear to get our cameras in and out. Well-padded shoulder straps, a substantial lumbar pad and a comfortable waistbelt make the Mindshift bag immediately comfortable. We said goodbye to the sore necks and irritated skin we so often got from carrying our cameras out in front—a genuine improvement. But we found the true key to satisfaction mile after mile on the trail to be that our heavy camera gear was located low on our hips where it belongs, while our lighter rain jackets and snacks were higher on our shoulders. We carried easily 20+pounds of hiking/camera gear and water for over 150 miles in some rough hiking conditions and never felt any soreness in our back, shoulders or waist. Unbelievable! The MindShift rotation180º Pro has a few added features that we found attractive. The side-mounted hydration pocket does not take up valuable interior space, unlike previous bags we’ve owned that carry the hydration reservoir internally and down the center making it awkward to pack other gear around it. In addition, the rotation180º has its own waterproof rain cover stowed in a side pocket for quick access. It has several interior and exterior zipped pockets for storage of smaller items like a headlamp, pocket knife, sunglasses and sunscreen. We highly recommend getting the optional top pocket, an accessory that clips easily onto the top of the bag for additional storage. We also really liked the removable sling that comes with the bag and allowed us to attach our tripod down the center and distribute the weight evenly. We used this to carry a lightweight Gitzo tripod and ballhead (approximately 6 additional pounds) and never felt any discomfort or overloading. 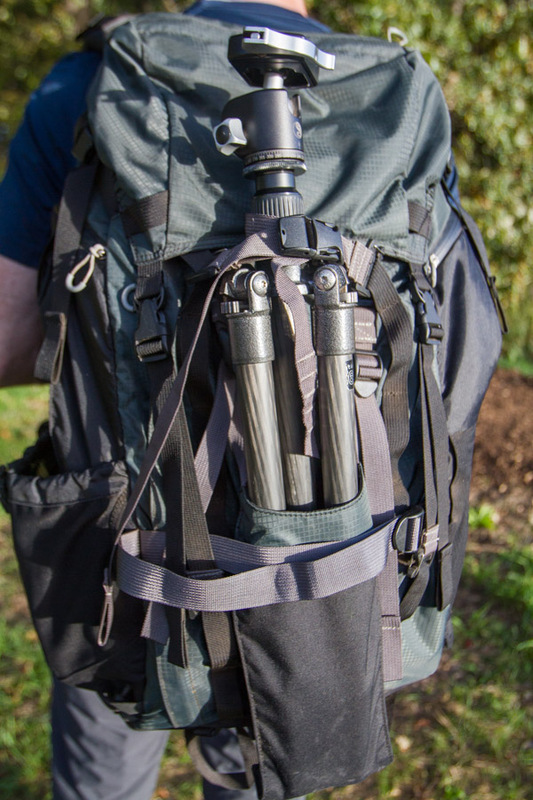 The tripod is essential to us for capturing waterfalls and great landscapes and having a dedicated sling and straps specifically designed to carry and secure it is a welcome change. MindShift sells a tripod carrying strap as well. This is definitely useful for photographers who are moving about and concentrating on shots that require using a tripod frequently. The bag also allows access from three zipped compartments: the rotating beltpack, top access to the main compartment and access to the same space via a back panel when the bag is off your shoulders. This would be helpful if you were carrying lots of additional camera gear on a dedicated photo shoot. MindShift sells a professional photo insert organizer that would keep all your additional lenses protected and easily accessible from the back panel. 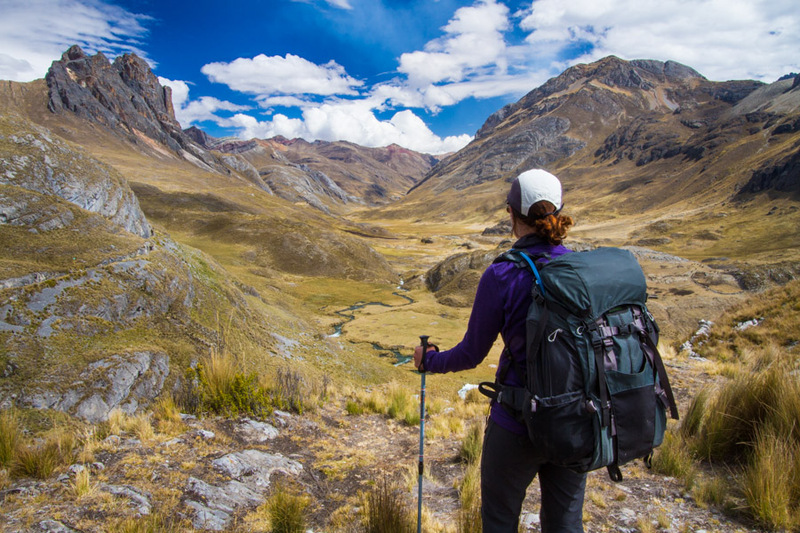 After using our new MindShift rotation180º bags on two intense 12-day hikes in Peru, we can honestly say that we were thrilled with them. This bag is designed specifically with the active hiker/photographer in mind, and we finally fulfilled our quest to find the perfect daypack. Thank you, MindShift! 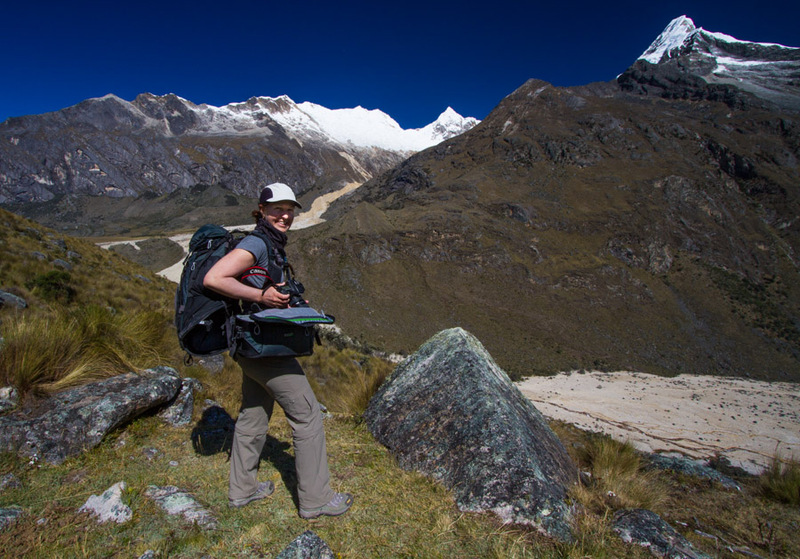 Disclosure: Many thanks to Mindshift for outfitting us with our rotation180º daypacks for our Peruvian treks. The links in this post are affiliate links, meaning that, if you make a purchase, we receive a tiny bit of compensation at no added cost to you. We would never recommend a product that we did not truly love. Very interesting backpack, thank you for sharing ! We had never seen anything like it before, but it will definitely be the bag we use for day hiking and supported treks in the future. Thanks for reading! What a great backpack! No wonder you can carry so much gear so easily. I think I will put it on my Christmas wish list. Great idea! This would definitely make the perfect gift for any photographer/hiker for the holidays. We hope you get one! For the amount of gear you carry this definitely looks like the answer. Amazing photos by the way. I could barely focus on the product review for my mouth gaping open at the scenery. Breath taking! Thanks, Sue! 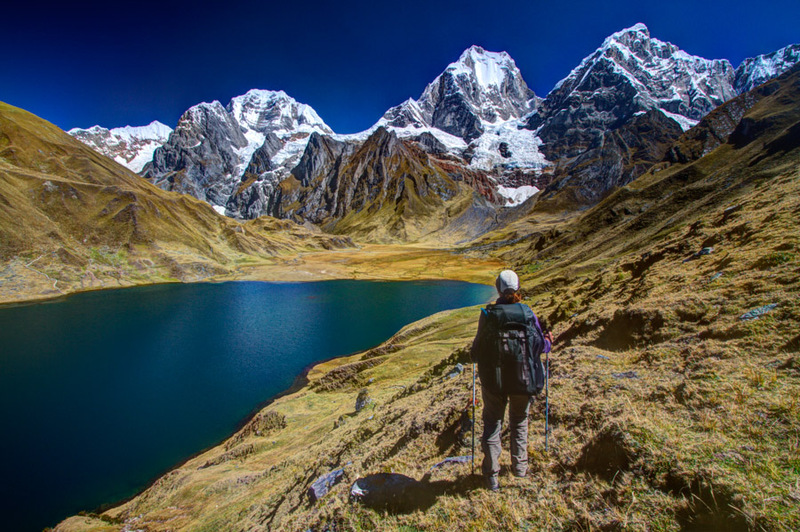 We are looking forward to sharing posts about our amazing treks in Peru soon, but first we have to whittle down the thousands of pictures we shot into a manageable number for our posts. That’s not an easy task considering how beautiful it was there! We’ve opted for the smaller Olympus OMD camera bodies so find the Peak Design Capture Pro clips work really well for keeping the cameras readily accessible while shifting the weight off the neck onto the pack. Great to see a good solution for DSLRs on the market, too. The clip system looks like an interesting option, too. The rotation180 is one of MindShift’s largest bags. They also have great packs for smaller cameras, too, which would be really useful when biking or doing other activities where you can’t have your camera out all of the time. Too bad you didn’t have any stunning scenery to photograph while you tested this bag. It seems like someone who actually hikes and takes photos designed that! What a concept. I’ll have to look into it when I do another real trek in the future. Your blog is such a great resource I feel like I’m always book marking posts for later dates. Thanks for sharing. No doubt, Jeff! 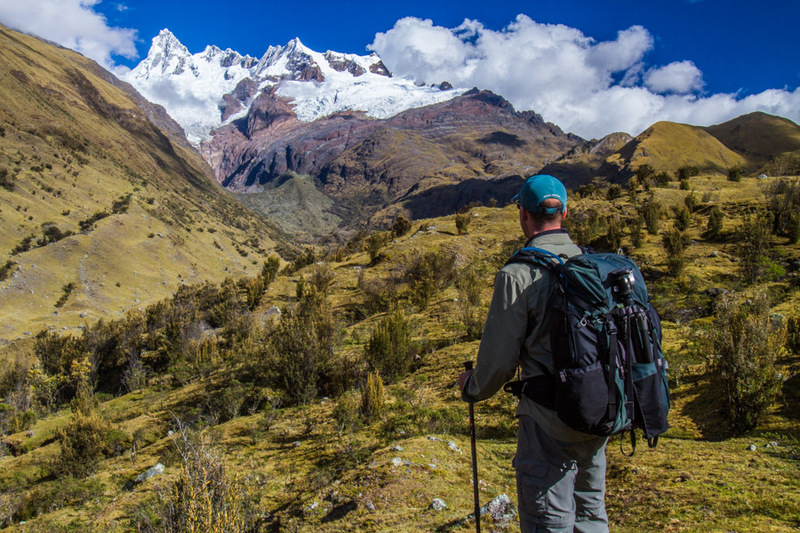 The alpine scenery in Peru has to be some of the most beautiful we have ever seen. We definitely loved the bags, and one of their smaller models would be perfect for the type of trip you are taking right now. We appreciate knowing you find our posts useful. Thanks for your nice comment! Thank you! MindShift has designed all of their bags for exactly that purpose. They come in a wide range of styles and sizes, so you can get the exact one you want to match your needs. We love ours!